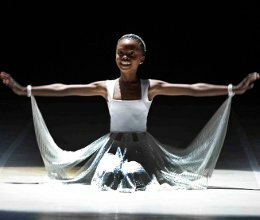 The programme will showcase DFA�s InSPIRAtions Youth Company, as well as students from its Cape Town Outreach Programme and Specialised Dance Programmes. They will perform pieces that reflect the variety of dance styles offered by DFA. There will be guest performances by La Rosa Spanish Dance Theatre, the UCT School of Dance and the Cape Academy of Performing Arts (CAPA). Some of the participating artists were trained by DFA during their formative years. Stargaze will incorporate a tribute to Dudley Tomlinson, a Master ballet teacher who, during 30 years of teaching at UCT Ballet School (now UCT School of Dance), was instrumental in training DFA CEO Philip Boyd, a number of DFA�s other teachers and many dancers who have become well known in South Africa and abroad. After training at UCT Ballet School, Dudley Tomlinson went to London in 1960 to join the Royal Ballet School and was soon accepted into the resident Royal Ballet Company at Covent Garden. He was there when Rudolf Nureyev defected to the West and benefited from witnessing Nureyev�s dynamic, intense style, which raised the standard for male ballet dancers. At the behest of Dame Ninette de Valois, Dudley spent three years as ballet master to the Turkish National Ballet Company, which was founded by de Valois. After this, he joined the Royal Ballet touring company for a year. Dudley returned to South Africa in 1968 and began teaching at UCT Ballet School. He retired in 1998 and since then has been teaching Pilates, Gyrotonic and Gyrokineses at his studios in Wynberg, Cape Town.